Survive and Thrive Bootcamp weekends for adults (ages 21 and older) with type 1 diabetes are premier weekends offering a balance of relaxation and fun with intense interactive education. Plus 1 Weekends include aspects designed to empower adults with type 1 diabetes, with additional sessions devoted to those supporting a loved one with diabetes. Go to speakers together, or let your interests take you to different sessions before meeting back up for some traditional camp fun! The weekend includes a line-up of speakers who are knowledgeable about living with diabetes as an adult, and/or supporting those who do. EDUCATION - Interactive Educational Sessions facilitated by professionals in their individual fields. INFORMATION - Vendor Fair with a variety of diabetes-related products and organizations. CONNECTION - Meet and connect with other adults with type 1 diabetes; share and learn from others with type 1. FUN! Activities including zipline, boating, archery, bonfire and more will be offered. RELAXATION - Relax and unwind with a private or chair massage offered by licensed Massage Therapists throughout the weekend (additional fee required). Meals and snacks are included. Vegan, vegetarian, and gluten-free alternatives will be provided. Participants are welcome to bring and store their own snacks as well, but please note that we are a nut-free facility. Participants may select from two accommodation types. Please find more information about the accommodations below. Pricing is all-inclusive and includes housing, meals, snacks, and the full program including all activities with the exception of massage therapy. Program costs will be fully refundable up until 1 month before the start of the program. After that time, refunds will be made only at the discretion of the Camp Nejeda Foundation. Accommodation options include group-style camper cabins with a half bath and access to our newly constructed bath house (a short walk from your cabin) or the option to upgrade to shared dorm-style rooms with 2 sets of bunk beds and shared bathrooms on the second floor of our Helmsley Heath Center facility. 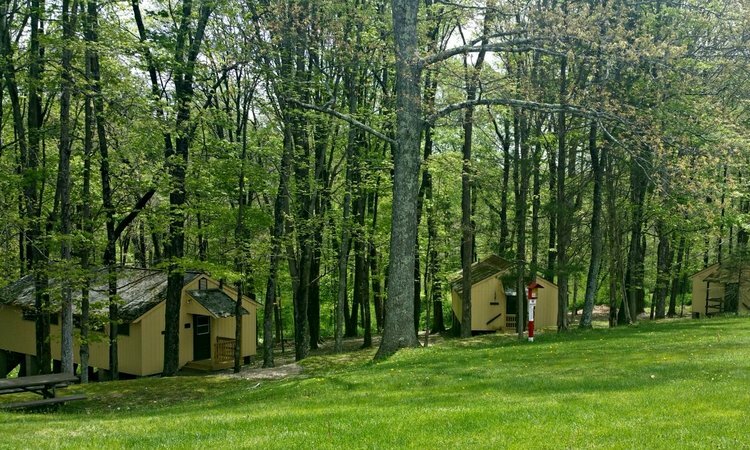 Please note that camper cabins are shared and that couples will have an opportunity to indicate their preference for a cabin shared with other couples, or in a gendered cabin with all females or all males. Rooms in the Helmsley Health Center allow for couples to stay in a private room but have limited availability and will be filled on a first come, first served basis. Two rooms on the first floor of the Health Center are handicap accessible. Please contact victoria.benyo@campnejeda.org or 973-383-2611 x224 to request a handicap accessible room. Helmsley Health Center dorm-style climate controlled housing with shared bathrooms and common space. Camper Cabins - Rustic but comfortable camper cabins with electricity and half bath. Newly constructed bath house is a short walk from cabins. 1:00 pm-Early Check In begins. For anyone who would like to stretch their legs after the drive, you are welcome to take a walk along Todd's Trail, or venture a little farther off-site for a longer hiking or biking trail. Enjoy fun camp activities such as zip lining and boating! Enjoy some camp activities such as zip lining and archery! You are attending Survive and Thrive Bootcamp at Camp Nejeda – a summer camp for children with type 1 diabetes. Accommodations are that of a summer camp facility and while you will have access to modern conveniences, you should pack for the experience. Participants are encouraged to pack comfortable and casual attire and include warm clothes for evenings and outdoor activities. Layers work best! A full packing list will be provided in the weeks preceding the program. *Cabins are not heated. Please pack sleeping bags and/or sheets and extra blankets. In the event that the weather is unseasonably cold, Camp Nejeda will provide additional heat sources in the cabins.